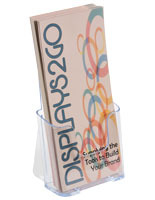 Designed for 4" x 9" Brochures. 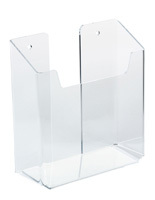 Acrylic Construction is Affordable & Durable to Last. 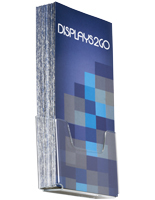 The wall mounted leaflet rack is an acrylic pocket that is ideally placed in high traffic areas to be easily seen by customers. 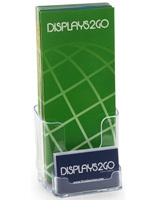 The literature holders are able to neatly keep many pieces of one brochure in the display. 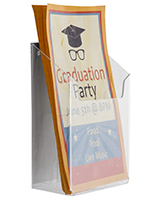 The leaflet rack with 100% acrylic materials allows customer to easily see what is being showed, but also is fairly durable for long-lasting use. 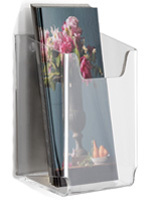 The pocket display is compact and won’t take up much wall space in addition to saving prime counter and floor space. 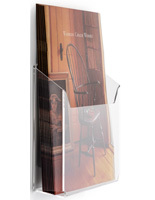 The rack is provided with sticky tape that will allow it to be mounted to wall. 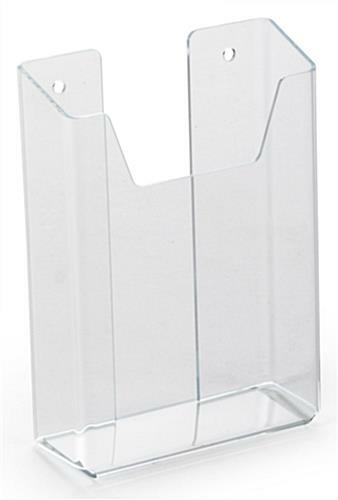 Pre-drilled holes are also present in the literature holder so that it could be screwed to walls with hardware that the customer has provided. 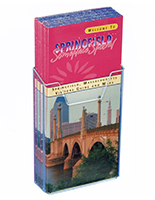 4.5" x 6.0" x 1.8"